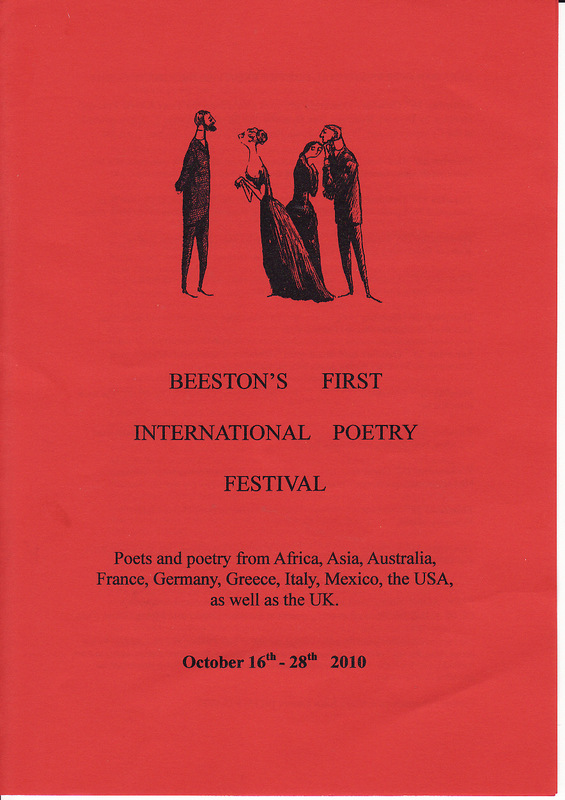 N S Thompson, a lad with long-standing literary leanings, makes a rare Midlands appearance during the Beeston International Poetry Festival. Thompson will appear at the Flying Goose Cafe as part of an evening devoted to writers published by Smokestack Books on Tuesday 19 October 2010. Further details from Smokestack Books via their website or from John Lucas via the Shoestring Press website. 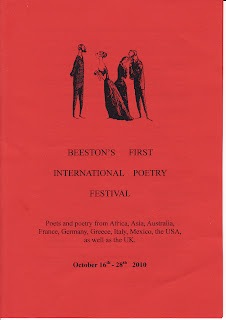 This is the first year of the BIPF, which will run from 16 - 28 October 2010 and will feature a wide range of poets, including Mahendra Solanki, Cathy Grindrod and Wayne Burrows.